This week i’m suddenly busy. With work. So yes, that is a good thing. I’m working at two assignments now, but i have a third waiting. I should work on that one over the weekend. 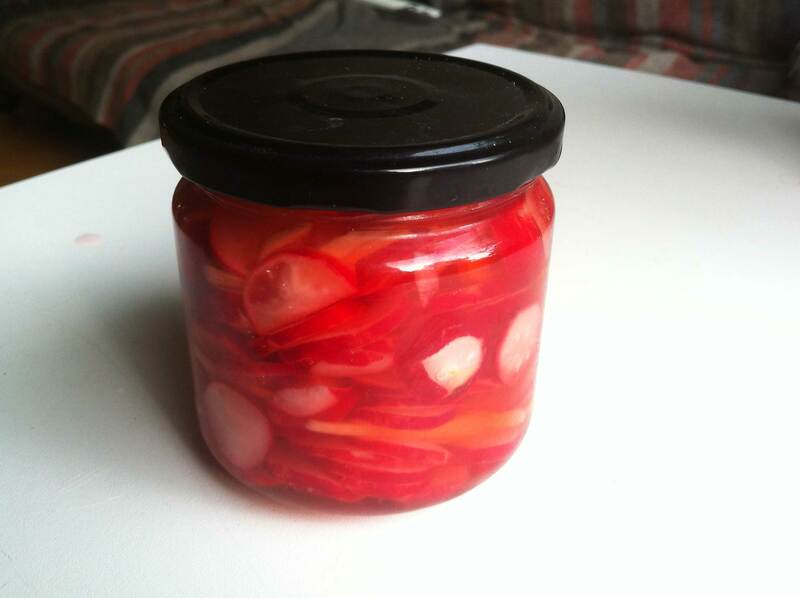 I did also make some pickled radishes. I saw a recipe for those over the weekend, and yesterday i did buy them on the market. Quick pickled radish with ginger. I’ll be making some of the sushi rice with avocado. Sounds lovely. I also went to the doctors assistant this morning. I’m not sure i ever mentioned it here on this blog. I have diabetes. It was diagnosed five years ago. Over the past six months my sugar level has risen. So i had a change in medicine. That is not working though. In a months time i have to go back after another change. If that doesn’t help, i will need to start giving myself insulin. Not something i look forward to to be honest. I did come across some posts about a low-carbohydrate diet for diabetes-2 patients. So i will give that a go. That might work. And really, i do need to loose a bit of weight. Stop eating the cookies Ellen! I do have some ideas for posts. But they still need work. So i don’t think they’ll be done tomorrow. Well, the song might be done. That would be great! That is it for now. I could write a lot more. About the Roger Federer – Marin Cilic match i did watch for a while this afternoon. Great, great match. And Federer won! The first match i saw that caught my attention. I did miss the Djokovic defeat last week. That is it for now. Have a lovely day!